So I have the day off work today due to the freezing rain we got this morning. And that means I can spend part of the day doing some things for the wedding. As we progress toward the big day (under 6 months now! ), there's still lots more to be done. Which brings me once again to: Flowers. I've shared some of my initial flower ideas for the wedding, and then even more ideas after we met with the florist. The florist will be making all of our bouquets, but I'll be putting together most of the centerpieces for the reception. And we're planning on growing most of our own flowers. Call me crazy, but we're up to the challenge. We like to do a little DIY'ing every once in a while ya know. 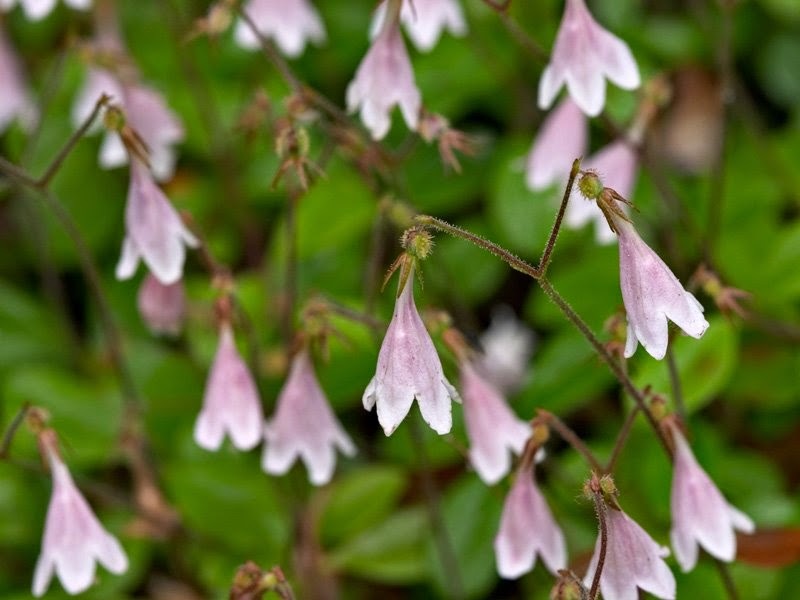 So now, even though it's still winter, spring is nearing closer and closer, and it's time to start thinking about what flowers we're going to plant and continue planning. This past weekend, I actually attended a lecture at my work conference in La Crosse about Organic Flower Farming. I'm kind of a newbie when it comes to flower gardening, and this wasn't "Flower gardening 101," but I definitely left with some new information about a few different flower varieties - what's really easy to grow, what's not as easy, etc., along with some general growing and harvesting tips. Planting more is better than planting less. 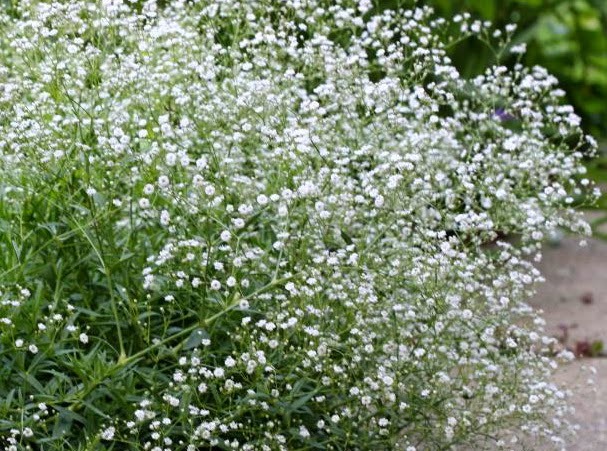 One person can successfully manage one acre of flowers. The average retail price per stem is 90 cents. Plant woody perennials in late April. You can use a hand torch to quickly make holes in landscaping fabric for seeds. A few good tools for harvesting flowers are an apron, #32 rubber bands, an ARS cutter, and a grass knife. To get long stems on flowers, cut down as far as you can, which may mean sacrificing other bulbs. You may need to net flowers to protect them from storms and high winds. 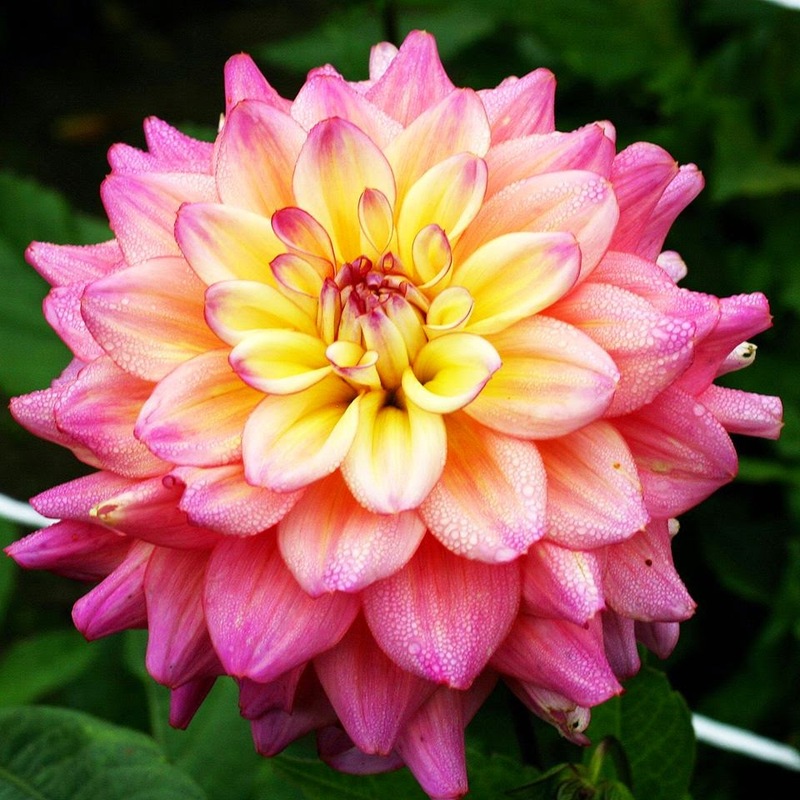 Things to consider when deciding what flowers to plant: day-length, germination light/heat/cold, plant spacing, pest control, soil pH, seasonal, toxicity. Most flowers like high acidity. For long stems, 24"-36" is an ideal length, but 18" also works. Woody perennials (peonies, hydrangeas) make good fillers. 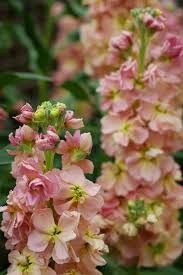 Antirrhinum majus (Snapdragon) - A hardy annual. Plant 4 inches apart (6" by 4"), always put netting on. Early bloomers. The "Madame Butterflies" are stunning and fragrant. Great article by Robin on these here. 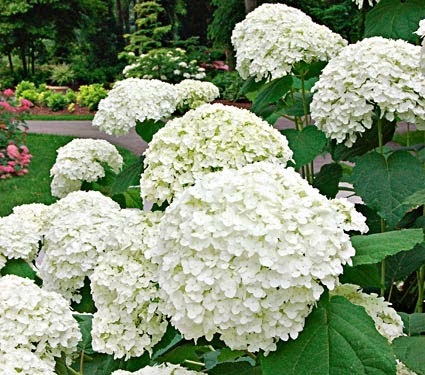 Hydrangea - Make sure there's plenty of water in the soil in early spring. These like shade. 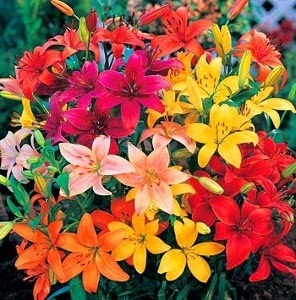 Lilium (Lilies) - Can plant Oriental bulbs in crates inside first. 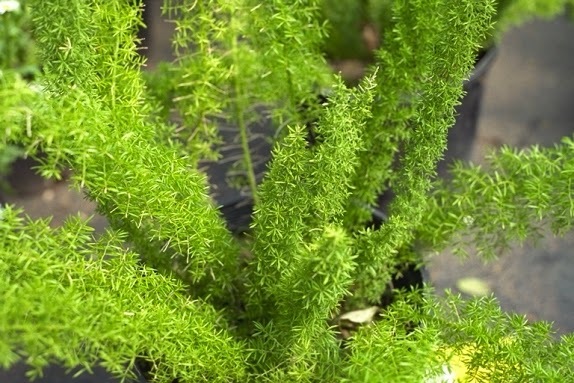 Best under shade from June to September to prevent sun scald of buds and leaves. Eustoma grandiflorum (Lisianthus) - Tender annual. Can plant in early May. Seeds very slow, good candidate for purchased plugs. Use support netting. Space at 6" by 3". Water can spot petals, especially purple. Dahlias - These are "tubers" (like potatoes). Plant in April - May. Usually start producing in September. Take a long time to grow. Bug magnets. Can't do these organically because of all the bugs they attract. Use support netting or staking. 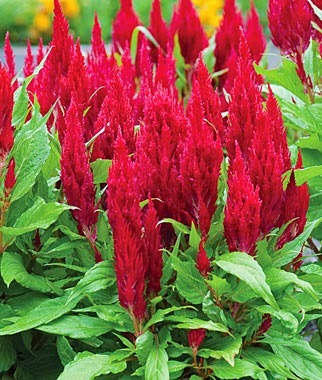 Celosia argentum - Heat-loving annual. "Hi-Z" is a hot pink color. Plant in June. Space 6" by 6". Use support netting. Gomphrena - These were one of their failures last year. A tender annual, loves heat. Blooms in Aug-Sept. Plant rows a foot apart. Campanula medium - They like the Champion series. These are an annual, space at 6" by 6". 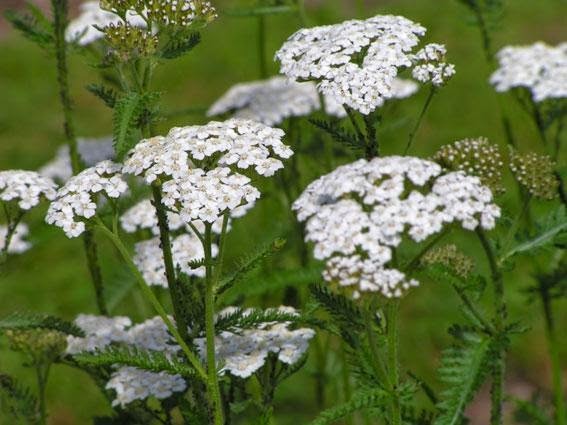 Achillea millefolium (Yarrow) - Blooms early in the season. 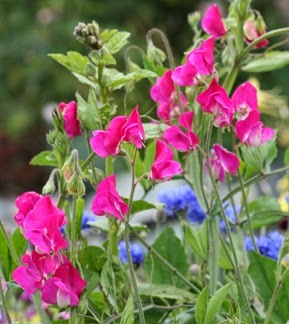 Lathyrus odoratus (Sweet pea) - fragrant, early in the season. Bloom through summer. There is a heat tolerant brand available. Plant with vertical netting (8' to climb on) at 46" apart. Matthiola (Stock) - Annual, doesn't tolerate heat. 'Katz' has great colors. 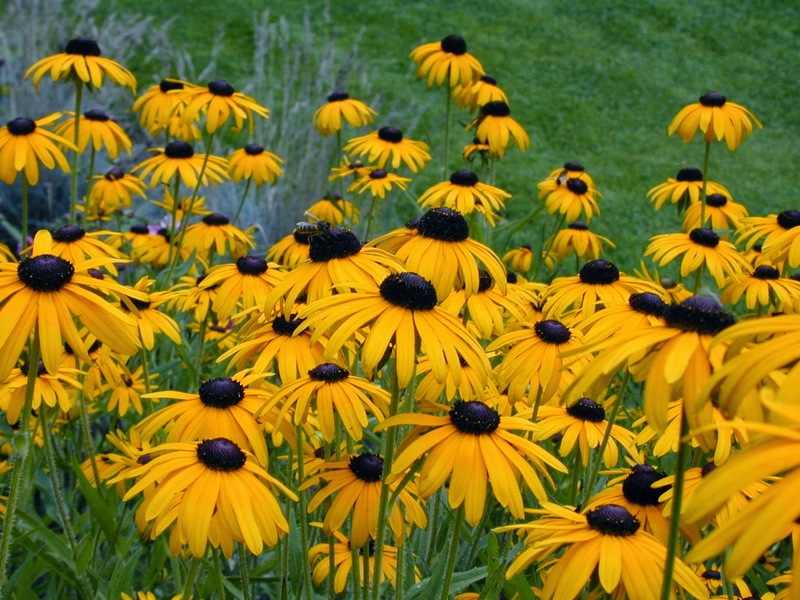 Rudbeckia hirta (Black-eyed Susans) - Perennial, space at 12" by 12". Susceptible to 'Aster Yellows'. Varieties include "Indian summer", and "Cherokee sunset." 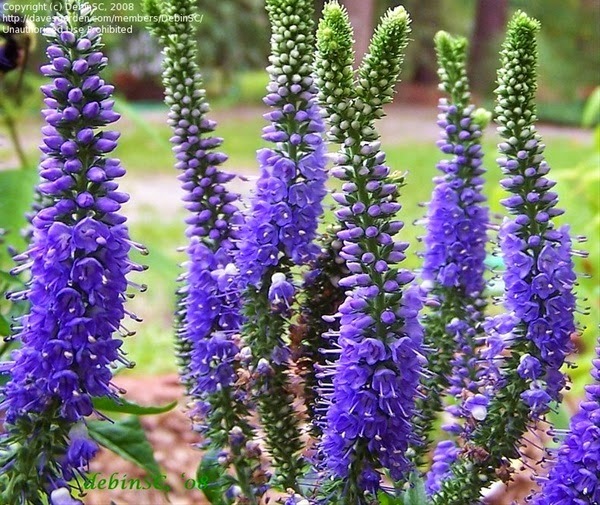 Veronica - A hardy perennial - planted 12" by 9" or 12" by 12". Good variety is "Blue shades." Can tolerate a lot of weed pressure. 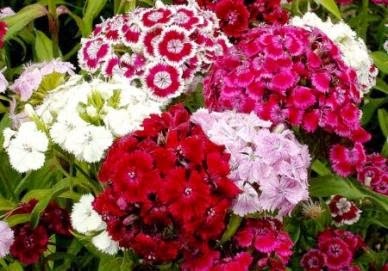 Dianthus - For annuals, "Sweet Williams" is a good variety (space at 12" by 6"). 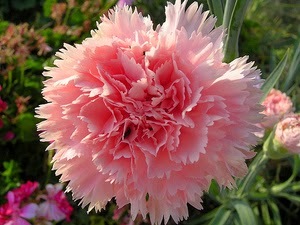 For perennials, "Pinks" are good (space at 12" by 12"). 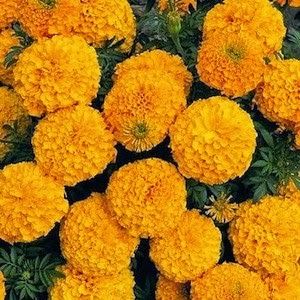 Tagetes Erecta (Marigolds) - Tender annual. Space at 12" by 12". Fragrance is in the foliage. Good varieties are "Jedi" and "Babuda." 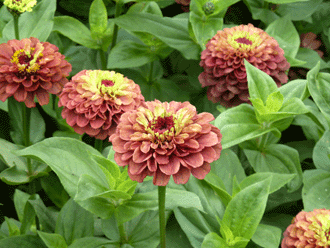 Zinnias - A Tender annual. Long stems, need to sacrifice buds. Don't like the cold. Very susceptible to bacteria. Varieties include "Queen lime", "Queen red lime", and "Benary's giant". 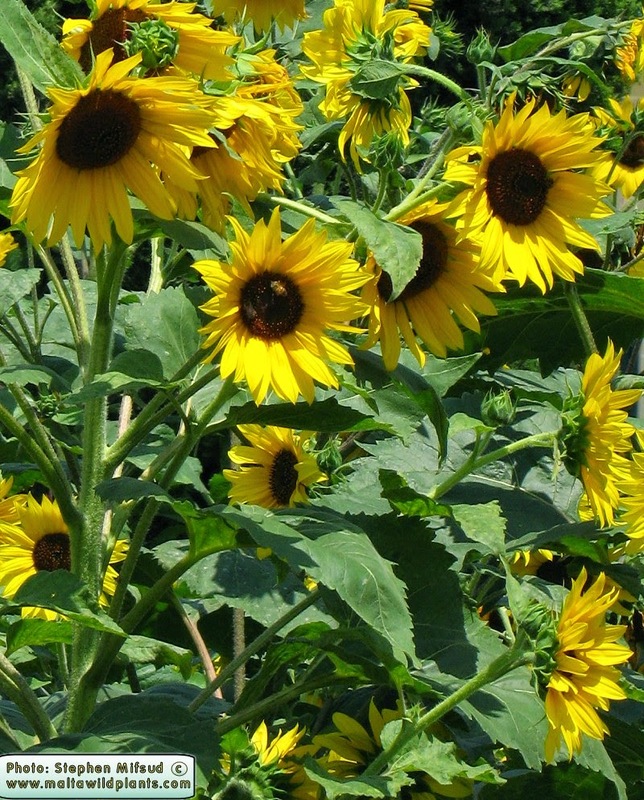 Helianthus annuus (Sunflowers) - An annual. Can succession plant. 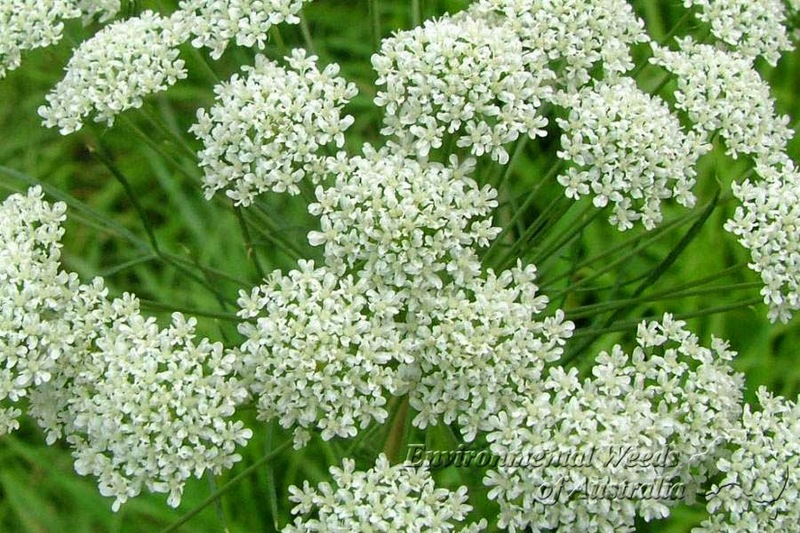 Can be branching, non-branching, or pollenless. Space non-branching at 12" by 6" and branching at 12" by 12". Support them with netting.